Thanksgiving is right around the corner and so is the official launch of American Illustration 30. This is an annual competition for contemporary illustrators. This year my Thanksgiving Farmers Market piece was chosen to be included on their website along with some of my other illustrations that have previously been acknowledged. Mayor Michael Bloomberg has declared the second week in November Illustration Week in New York. There’s plenty of activities scheduled for those interested in the inner workings of the illustration business. It’s been awhile since I worked with a model but I joined in a recent session with other local artists. To warm up I scribbled this figure and thought nothing of it and put it away for a few days. 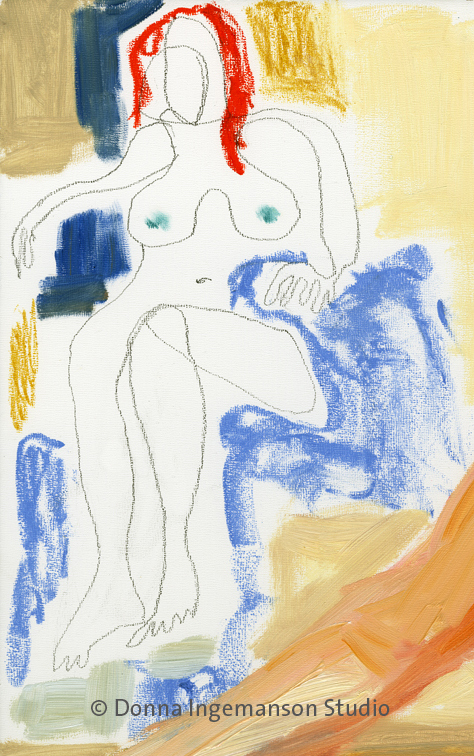 After returning to it I find that it really captured the essence of the model and her pose. Working quickly seems to reveal a freshness that is lost sometimes in projects that are time consuming and over-thought. Inspired by a rock garden at the Naples Botanical Gardens in Naples FL. 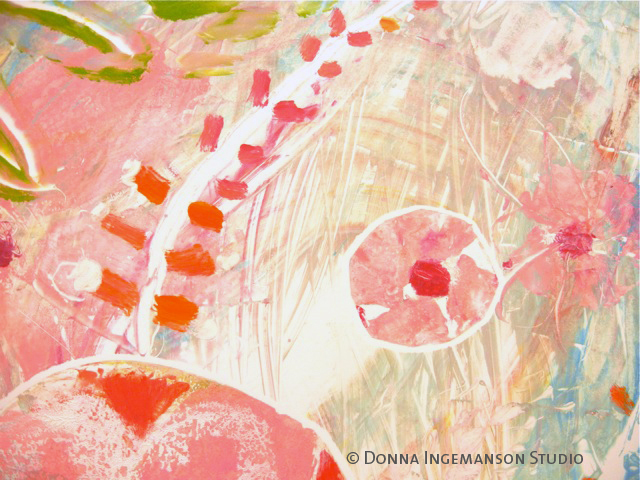 This is a monotype that I recently worked on in the printmaking studio. The final outcome is very loose and textural with lots of texture and earthy colors that takes it to a much different place than I originally had in mind. Letting go and experimenting has been a valuable tool in in the never ending search for personal expression. Ingemanson-detail from Naples Rock Garden Monotype. This detail shows the use of paints and inks which reveal a tactile quality to the monotype. Finding that place between abstract and realism are the types of imagery that are intriguing. Fauvism is one of my favorite periods in art. 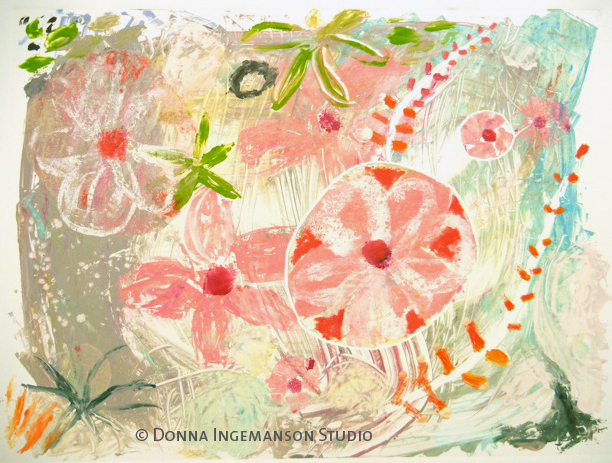 You are currently reading Free to Explore at donna ingemanson studio.